Each fall I transfer my parsley plants from the herb garden to pots so that I can bring them inside for the winter. They tolerate the cold fairly well, but I learned the hard way one year that recurring frost or heavy snow wipes them out. Fortunately, parsley is the only houseplant my cats don’t gnaw on, so it conveniently sits in my sunniest window, enjoying the mild temperatures of our farmhouse. When late spring arrives, my parsley goes back outside to bask in the sun, if it hasn’t gone to seed, as it did this year. In that case, I wait for the seeds to develop and dry, then I scatter them in the herb garden. 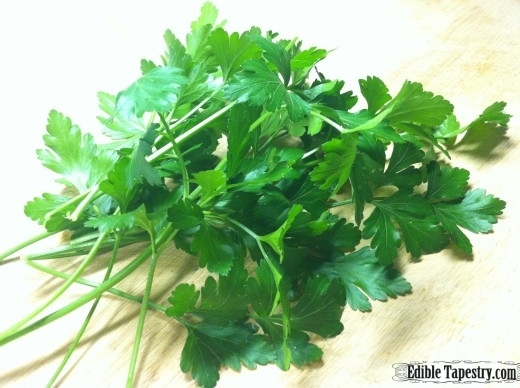 Either way, I rarely have to buy parsley from the store or parsley plants from a nursery or gardening center. The only problem with the relocation process is that the plants are so big after growing through the warm season that they don’t fit in the window and must be severely pruned. 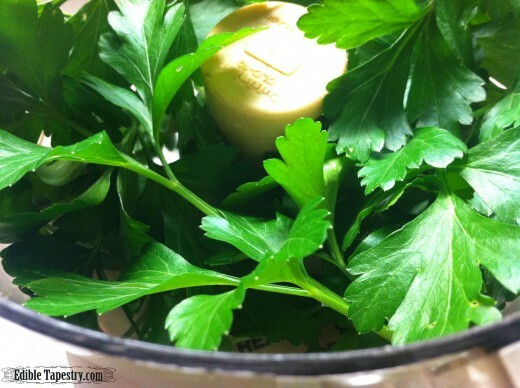 What do you do with oodles of freshly snipped parsley? 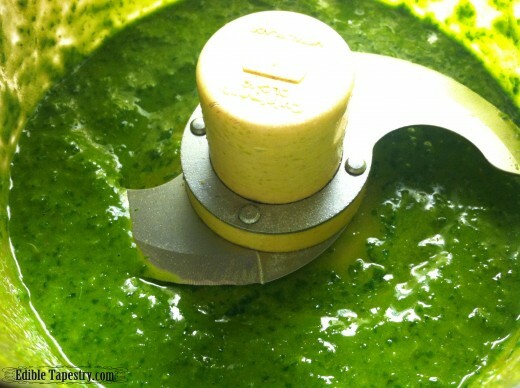 Make a batch of chimichurri! 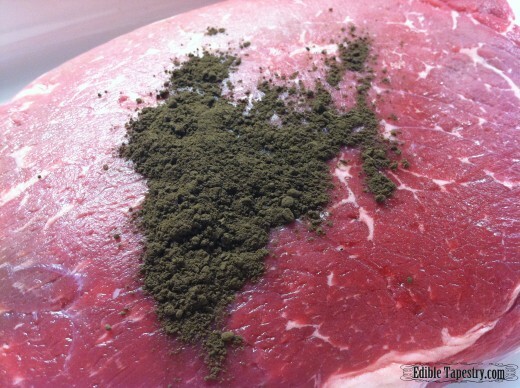 And the chimichurri? 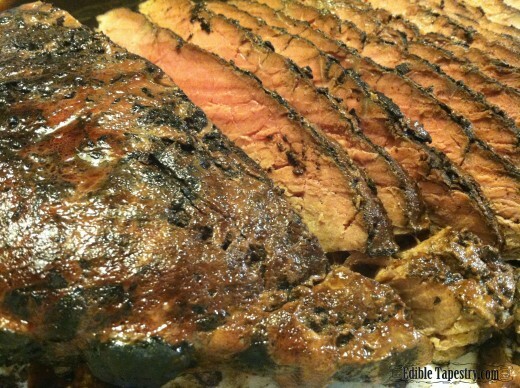 Excellent with a spicy, cocoa-rubbed beef roast. Pink Himalayan salt to taste. 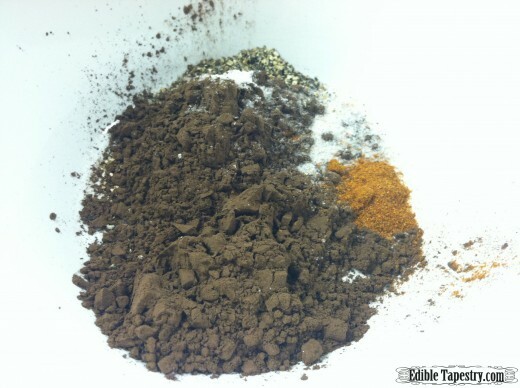 Mix together the rub ingredients. 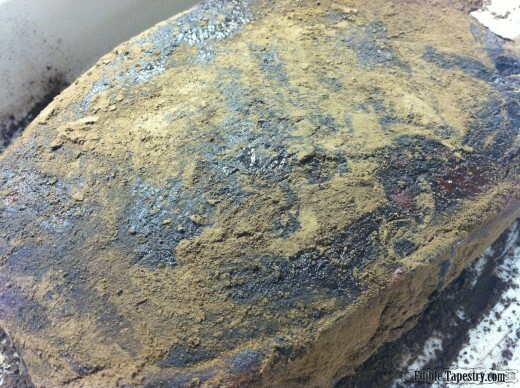 Coat the entire surface of the roast with the rub. Place a rack in a roasting pan. Place the roast on the rack. Roast in the oven for 15 minutes. Reduce heat to 350 and continue cooking to your desired temperature. I cooked mine to medium, around 135, which my husband doesn’t like but the rest of us prefer. Hubby got the flavorful ends, which were closer to well-done. 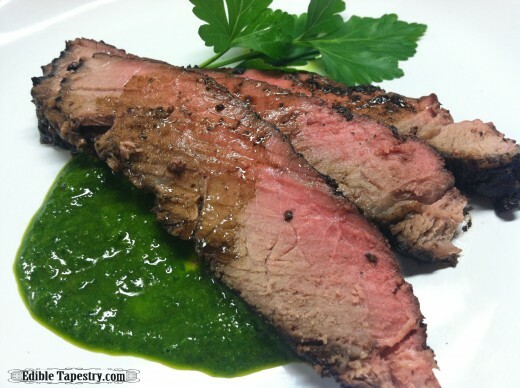 When the roast is nearly finished cooking, make the chimichurri. 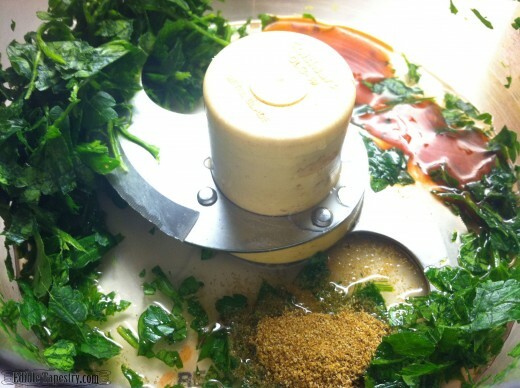 Place the parsley and oregano in the bowl of a food processor. Whir until minced. Add the remaining seasonings, but leave the oil out for the time being. Process the ingredients to combine, then drizzle in the oil while the processor is running, to finish the sauce. When the roast comes to temperature, allow it to rest for a few minutes before thinly slicing and serving it with the parsley sauce and a drizzle of the roasting pan juices.